Brilliant clear color. Earthy aromas of bamboo leaf and shoot, wax, dusty sticky bun, and wet rattan with a silky, dryish light body and an even, engaging, medium-length rice and wax candy, tapioca, and hint of garlic shoot finish. A delicious and nuanced soju with attractive flavor and style. 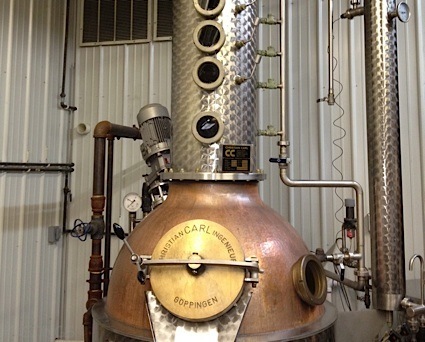 Bottom Line: A delicious and nuanced soju with attractive flavor and style. 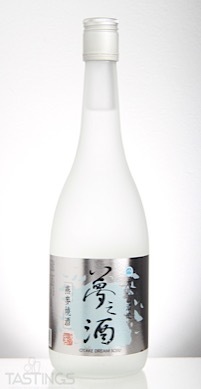 88 • Otake Yinro Soju 40% (Taiwan) $26.00. 89 • Otake Dream Soju 20% (Taiwan) $20.00. Soju is a beverage distilled from a number of ingredients, among them rice, barley and even sweet potatoes. It is made in South Korea, where it is the national beverage; alcohol may not exceed 35%. It is traditionally served neat over ice. Many examples tend to have a clear appearance with mild flavors such as nougat, marshmallow or melon. Soju is comparable to a very mild vodka. Otake Dream Soju rating was calculated by tastings.com to be 89 points out of 100 on 1/9/2018. Please note that MSRP may have changed since the date of our review.